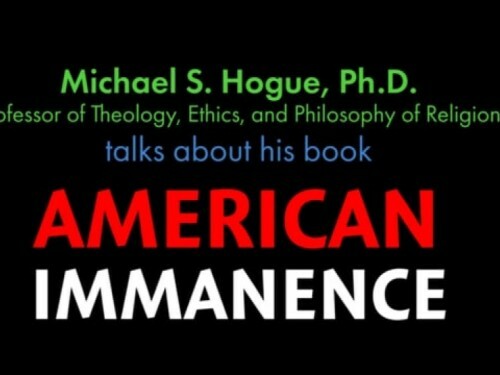 By Michael S. Hogue, Ph.D.
Dr. Mike Hogue, Professor of Theology, Ethics, and Philosophy of Religion, introduces his new book, American Immanence: Democracy for an Uncertain World. If you are at all like me, then you’ve been really disturbed and unsettled by all that’s happening in the world right now. The election of Trump is, I think, a symptom of so much of what’s going on, rather than a cause. 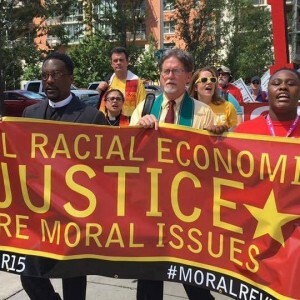 We are living in increasingly uncertain times, whether we are talking about the increase of anti-black racism here in the United States, the scapegoating of Muslims, immigrants, and refugees around the world, or the climate emergency. We are living in a radically uncertain world. I have spent countless hours wondering about why this is happening, how it’s happening, how we should respond. We all respond to these kinds of uncertain times in different ways. 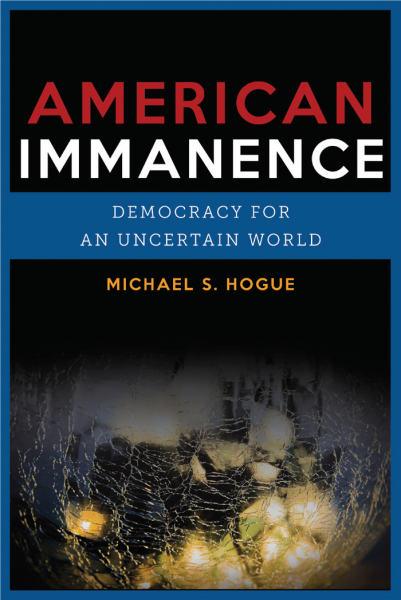 I’m privileged to be able to teach and have the luxury of being able to read and write about these topics, and so my way of responding to what’s going on in the world at the moment has been to write this book: American Immanence: Democracy for an Uncertain World. This book is part of a series that the Columbia University Press has published. The series is called Insurrections. That’s important to mention, because Insurrections is a series that looks at cutting-edge issues at the intersection of religion, politics, and culture. 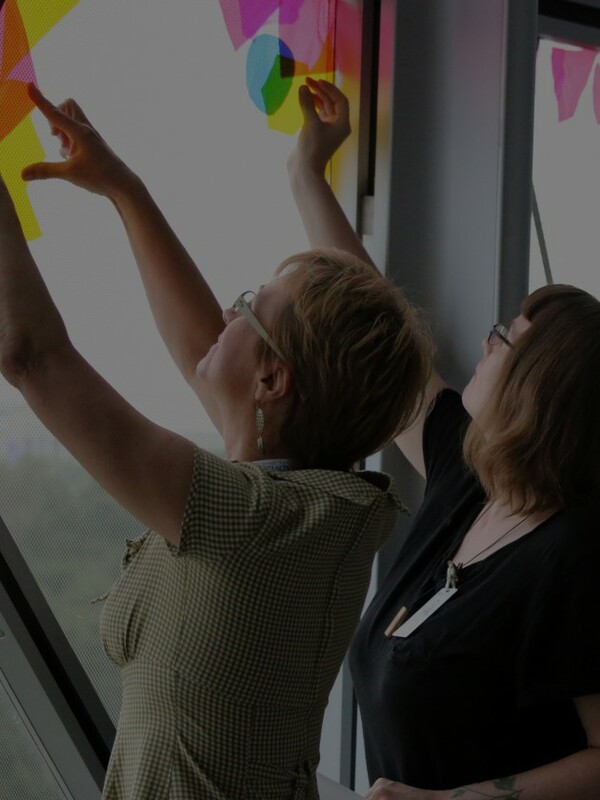 It engages contemporary issues, pressing, urgent challenges. In this book, I’m dealing with a set of what I call interpenetrating climate changes: ecological, political, and religious. Together, these climate changes have a lot to do with the uncertainty, insecurity, and the sense of precariousness and vulnerability in our world. In the first part of the book, I analyze that and explain how and why these ecological, political, religious, and cultural systems are interacting together at this time and how and why that’s the case. And then I offer a critique of where some of these things come from. One of the chapters in the book develops a sustained critique of what I call the dominant American political tradition. It is organized around the concept of American Exceptionalism, and what I refer to as a redeemer symbolic. I trace this political theology from early colonial roots up to Trump; I situate the election of Trump in this longer story about American Exceptionalism. I then constructively develop an alternative political theology that’s rooted in what I call the traditions of American Immanence. These are lineages in the American philosophy of religion that are pragmatic, radically empirical, and process-relational. Some of the names associated with these traditions include John Dewey, Jane Addams, William James, Alain Locke, and Alfred North Whitehead. I develop a political theology out of this philosophical and theological tradition, that I call Resilient Democracy. It is an approach to democracy as a way of life, that is spiritually attuned, ecologically concerned, and socially just; it is committed to empathy, equity, and emancipation. In the final chapters of this book, I articulate this concept of Resilient Democracy as a way to respond—as progressive religious people—to radical uncertainty in our world. Resilient Democracy includes roles for all of us: for incubators, people who are incubating and innovating new approaches to democracy and to Beloved Community; for connectors, people who are working at building bridges across many different initiatives that are emerging in our time—radically democratic initiatives from Black Lives Matter and Occupy movements to 350, the climate justice movement; also for amplifiers, people who are willing and have a capacity to draw attention to these new initiatives. Resilient Democracy is about bringing these many emerging grassroots democratic initiatives to a greater visibility, connecting them, and continuing to incubate new radically democratic responses to radical uncertainty. Dr. Mike Hogue has served in leadership capacities in diverse religious, academic, and activist contexts. 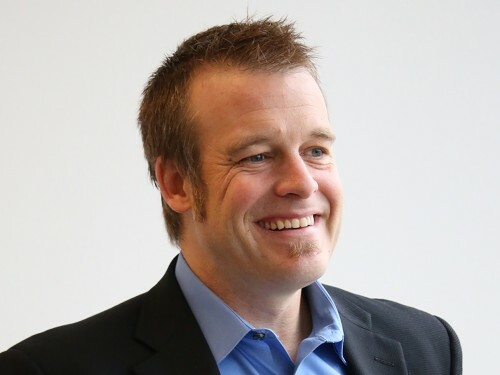 He has served on program committees at the American Academy of Religion, as co-founder and past convener of Oikos: The Religion and Environment Initiative, as Vice President of the Institute for American Religious and Philosophical Thought, as Co-director of the Religion, Vulnerability, and Resilience Project, and as a fellow with the Enhancing Life Project. He is the editor of the American Journal of Theology and Philosophy. ML Alums & Students: Share your stories! We want to lift up your ministry and share what great things you are doing. Please send your stories to the Communications Office.